We believe that filling out employee surveys should be fun, easy and engaging to develop a thriving work culture. That's why we do it. We combine state of the art technology with the latest insights from Positive Psychology. We use Feedforward, which is future- and solution-oriented feedback to improve the dialogue culture in companies and reduce the discrepancy between management and employees. With our app, potential for improvement is discovered, discussed collectively and implemented continuously. 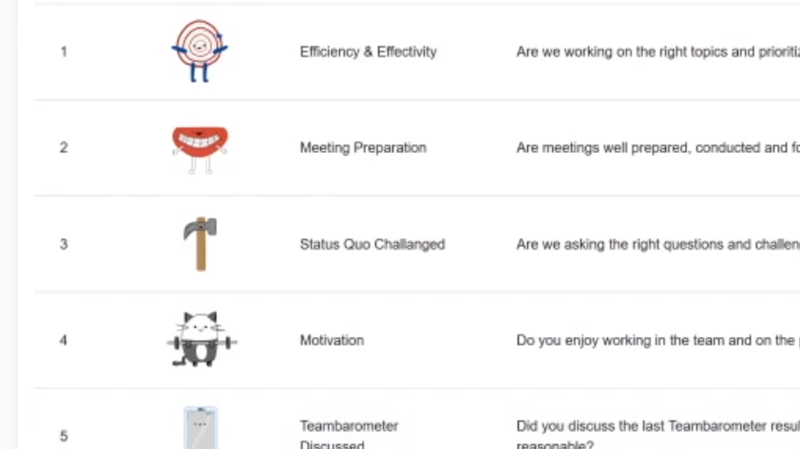 All this in an easy and playful way – using our Teambarometer app is fun for you and your workforce. World-class software – swiss made. Did you know that an employee engagement system can actually be beautiful, fun and fast? We provide you with surveys your workforce will love. For high response rates and engaged employees. Improve your dialogue culture with the help of our tool. We use feedforward techniques instead of feedback. To set your workforce into a positive, forward looking and solution oriented mindset. With our app, you’re always at the pulse of your workforce – without a lot of effort. Gain useful realtime data for all company levels through constant, puls-like feedforward delivered by our playful surveys. Our app dashboard provides employees and management with valuable real-time insights, dynamic over-time engagement data and feedforward – giving employees a voice, making team leaders better and improving your company collaboration culture in a simple but beautiful way. The Joineer Teambarometer app reaches out to your employees automatically. 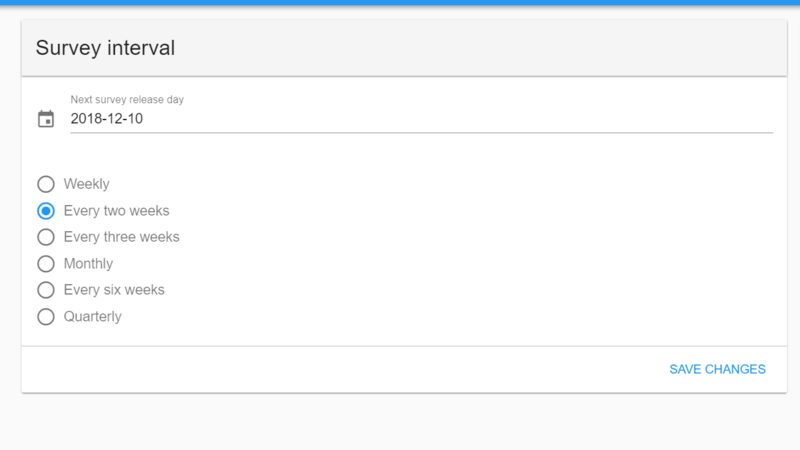 Set the interval and the tool invites, reminds, suspends, and engages team members automatically. To slowly change from a feedback to a feedforward culture and to make your latest insights visible right on time. 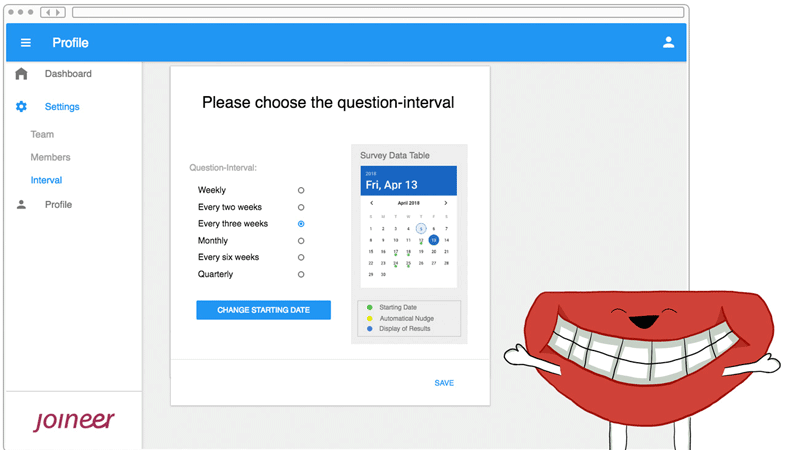 Start with our scientifically proven question set or define your own survey questions. Our experts are glad to help you with the correct, engaging but unsuggestive wording to make sure you get the answers you’r looking for — a service that is also included in the free trial. 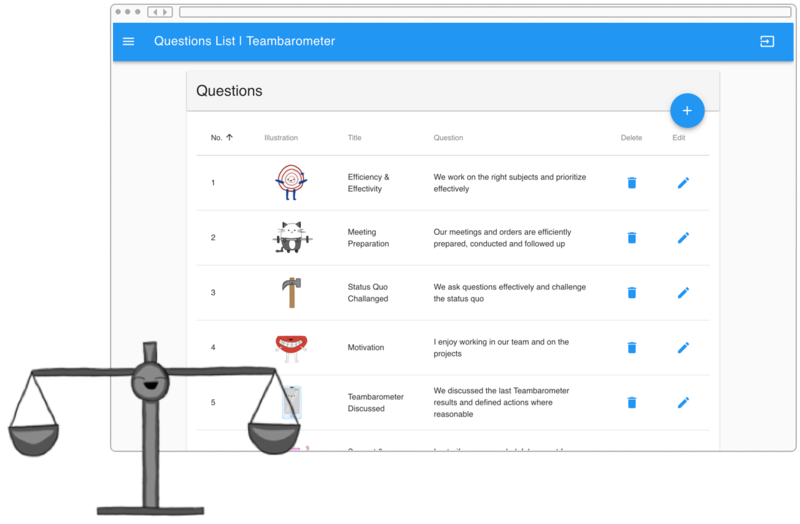 Convince yourself of the simplicity and the high user guidance of our Teambarometer. 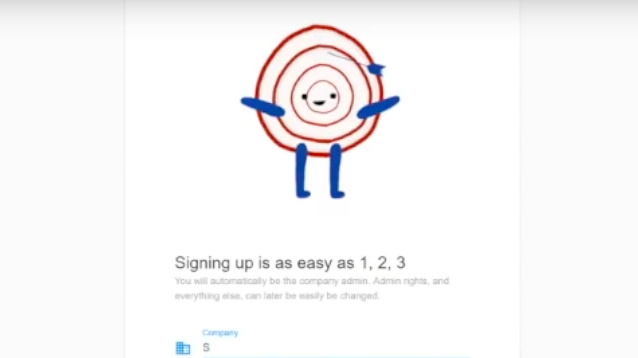 Find out how easy our system is set up and used in this explanatory videos. For specific teams or for the whole company – you will only pay for the actual usage. Between survey or if you have paused the system your costs are: CHF 0. Since the software unveils its power even better when everyone participates, you’ll get a discount for higher user subscriptions. Not yet convinced? Start to use the tool with a free trial. What is feedforward and why is it better than traditional feedback? Providing feedback has long been considered to be essential to achieve the goals of an organization and to inform employees about how they are performing. There is a fundamental problem with most existing types of feedback and employee survey tools: they focus on the past, on what has already occurred – not on the infinite variety of opportunities that can happen in the future. As such, feedback is limited and static and not expansive and dynamic. The purpose of feedforward is to provide individuals, teams and companies with suggestions for the future and to help them achieve a positive change in behavior and increased employee engagement. It blocks unproductive responses, common to feedback, such as rejecting the feedback message and lowering performance. The goal is to discover the conditions that allow one to be at his or her best. Unlike feedback, feedforward creates positive emotions, fosters bonding, builds psychological safety, and promotes the sharing of vital new information – regarding keys for personal and organizational flourishing. I really care about data confidentiality. What does Joineer do to always keep my data protected? The collected data is always safe and stored in switzerland. 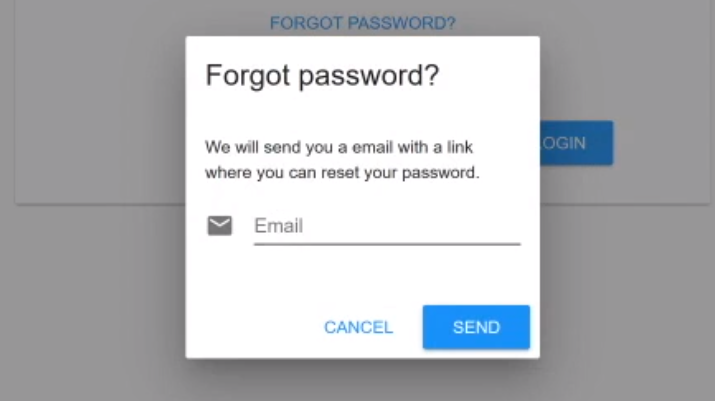 One of our main promises is to keep your data anonymous and secure during the whole process. Our platform is a place to be frank and give constructive feedforward, which is only possible with a cutting-edge security system. We store all our data on high security servers in Switzerland. The requirements of the EU standards for data protection are taken into account. 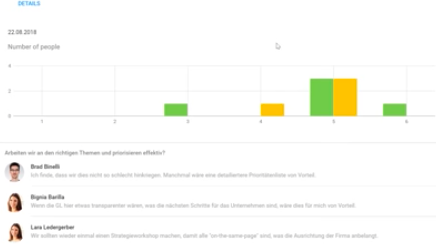 For example, the survey results are only shown once at least four users have completed the survey. It thus can be guaranteed that no answer can be tracked down to a certain user if he/she is not consent. Therefore no conclusion can be taken on an individual feedback at any time. A constant exchange with the responsible swiss data protection officer ensures additional security. How does the Teambarometer app work and what's the proceedure? Truth is: You can’t fix the problems you don’t see. We provide you with honest feedforward to help you proactively turn issues into conversations, and conversations into solutions before problems can form. How do we do it? Since most companies are super busy our app provides you only with simple but beautiful reports that identify the issues specific to your workplace. Knowing what matters to your team and where to focus your energy to improve the employee engagement has never been easier. Like that you can reveal the issues that matter, improve and grow together. Since spotting problems is only half the battle we provide a structured approach how to work with our tool and address problems at their source.